Let's talk about Christian books, together. How do you keep up with new books? 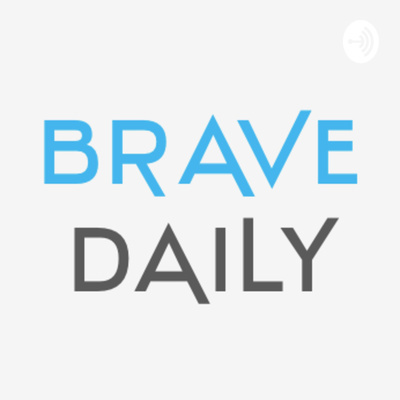 Brave Daily exists to keep you updated on what Christian books are hitting the shelves – and what should be on your shelves. We survey Christian books and media, reflecting on life as a believer. With direct access to publishers, we get the inside scoop on what’s up and coming. Enjoy book reviews, interviews, special deals, free books, and more by following along here or on social media. What does the Bible really say about the unseen world — unfiltered by tradition or theological presuppositions? Learn how to recover Scripture’s supernatural worldview. Learn More: http://bit.ly/UnseenRealm Watch the interview: https://www.youtube.com/watch?v=W9zIuIee2uE The psalmist declared that God presides over an assembly of divine beings (Psa. 82:1). Who are they? What does it mean when those beings participate in God’s decisions (1 Kings 22:19–23)? Why wasn’t Eve surprised when the serpent spoke to her? Why are Yahweh and his Angel fused together in Jacob’s prayer (Gen. 48:15–16)? How did descendants of the Nephilim (Gen. 6:4) survive the flood (Num. 13:33)? What are we to make of Peter and Jude’s belief in imprisoned spirits (2 Pet. 2:4; Jude 6)? Why does Paul describe evil spirits in terms of geographical rulership (thrones, principalities, rulers, authorities)? Who are the “glorious ones” that even angels dare not rebuke (2 Pet. 2:10–11)? Dr. Michael Heiser explores these biblical questions in The Unseen Realm: Recovering the Supernatural Worldview of the Bible. The Unseen Realm presents the fruit of Dr. Heiser’s fifteen years of research into what the Bible really says about the unseen world of the supernatural. His goal is to help readers view the biblical text unfiltered by tradition or by theological presuppositions. He presents a clear biblical theology that cuts through our modern worldview that tends to ignore the unseen world. “People shouldn’t be protected from the Bible,” Dr. Heiser says. But theological systems often do just that, by “explaining away” difficult or troublesome passages of Scripture because their literal meaning doesn’t fit into our tidy systems. In The Unseen Realm, Michael Heiser shines a light on the supernatural world—not a new light, but rather the same light the original, ancient readers—and writers—of Scripture would have seen it in, given their historical and cultural milieu. This light allows today’s pastors and scholars to understand the biblical authors’ supernatural worldview by presenting a biblical theology that embraces, rather than avoids, the unseen realm. Trevin Wax is managing editor of The Gospel Project at LifeWay Christian Resources, a pastor, contributing editor to Christianity Today, and the author of previous books including Counterfeit Gospels and Holy Subversion. Trevin lives with his wife and children in Nashville. Learn about the 2017 CSB Study Bible: http://amzn.to/2nacXtO The CSB Study Bible offers the award-winning Holman study system, which includes over 15,000 study notes, tools, word studies, and articles from respected Bible scholars. The result is a study Bible that helps the reader better understand and apply the life-transforming message of God’s written Word. Features include: 16,124 study notes, 368 word studies, 94 photographs, 61 timelines, 55 maps, 44 paintings, 34 articles, 21 illustrations/reconstructions, 19 charts, Book introductions and outlines, Concordance, Center-column cross-references, Smyth-sewn binding, Presentation section, Two-column text, Topical subheadings, and more. The CSB Study Bible features the highly reliable, highly readable text of the Christian Standard Bible (CSB), which stays as literal as possible to the Bible’s original meaning without sacrificing clarity. The CSB’s optimal blend of accuracy and readability makes Scripture more moving, more memorable, and more motivating to read and share with others.